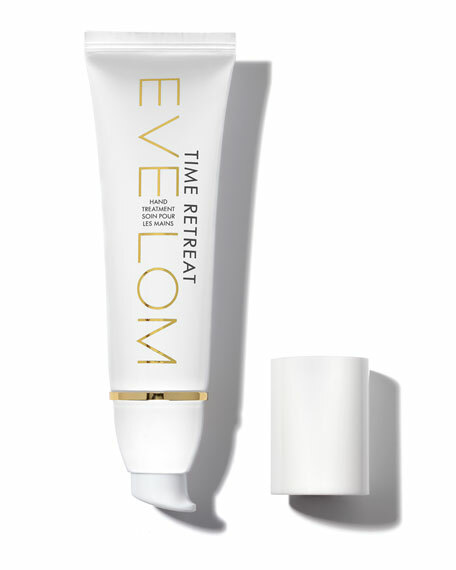 Eve Lom Time Retreat Hand Treatment, 1.6 oz. 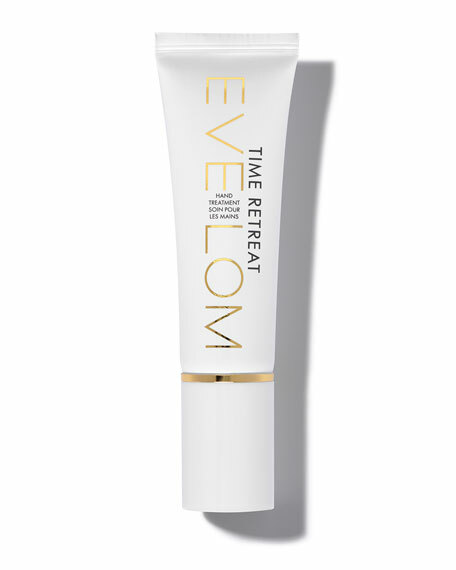 Eve LomTime Retreat Hand Treatment, 1.6 oz. TIME RETREAT HAND TREATMENT lavishes hands with a smoothing formula that reduces the appearance of lines, creases and helps corrects skin tone. Encapsulated Retinol firms whilst stimulating collagen production for a smoother, revitalized look. This weightless cream is immediately absorbed, bathing skin in rich moisture with long-lasting hydration.